During his visit to Pakistan, China’s president will discuss a raft of energy and infrastructure deals as part of wider ambitions to open new trade and transport routes across Asia. Chinese President Xi Jinping’s visit to Pakistan had already generated a sense of nervous anticipation. Originally expected to come in September last year, Xi’s visit was postponed in the wake of prolonged anti-government protests in Islamabad, with the government not want anything untoward happening this time round. 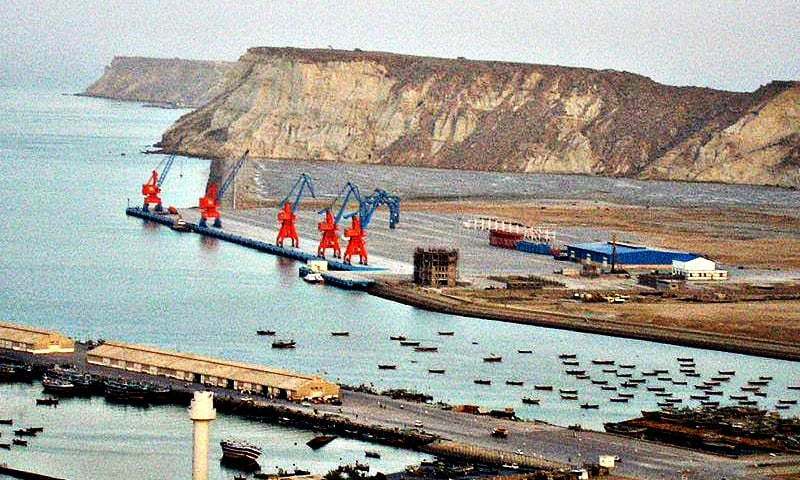 As well as signing a raft of energy, trade and investment agreements, the Chinese president will inaugurate Balochistan’s Gwadar port, which is part of the 3,000 kilometre-long strategic China-Pakistan Economic Corridor (CPEC) which could radically alter the regional dynamics of trade, development and politics. Gwadar, once a part of Oman before it was sold to Pakistan in 1958, is one of the least developed districts in Balochistan province. It sits strategically near the Persian Gulf and close to the Strait of Hormuz, through which 40 per cent of the world’s oil passes. The construction and operation of this multi-billion dollar deep-sea port at Gwadar was contracted to a Chinese company in 2013 and some analysts argue that the port could turn into China’s naval base in the Indian Ocean, enabling Beijing to monitor Indian and American naval activities. Establishment of the China-Pakistan Economic Corridor (CPEC) was first proposed by Chinese premier Li Keqiang during his visit to Pakistan in May 2013. “Our two sides should focus on carrying out priority projects in connectivity, energy development and power generation,” Li said at the time. 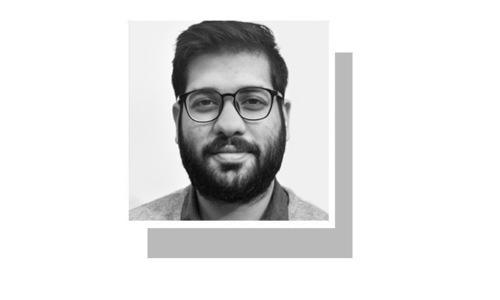 Pakistan’s strong ties with China may mean the initiative succeeds where other regional energy projects have become mired in security problems and political disagreements, says Vaqar Zakaria, energy sector expert and managing director of environmental consultancy firm Hagler Bailley Pakistan. 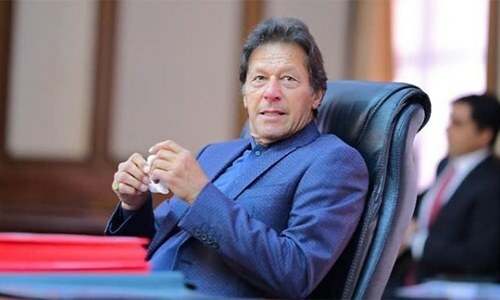 “The Pak-Iran pipeline is on hold, the World Bank-backed Central Asia South Asia Electricity Transmission and Trade Project has to contend with security issues relating to the passageway through Afghanistan, and importing power from India has to wait for core issues between the two countries to resolve,” he said. Energy-poor Pakistan certainly seems to have found a saviour in China, which has promised to stand by the country in its dark hour (parts of the country suffer power cuts for up to 18 hours a day). So overwhelmed is President Mamnoon Hussain that he has predicted the economic corridor will be a “monument of the century” benefitting “billions of people” in the region. However, coal figures prominently and Chinese money is “timely and useful” for cash-strapped Pakistan struggling to finance energy projects from western donors. The CPEC project will include building new roads, an 1,800-kilometre railway line and a network of oil pipelines to connect Kashgar in China’s western Xinjiang region to the port of Gwadar. The project also includes an airport at the port and a string of energy projects, special economic zones, dry ports and other infrastructure. The estimated cost is expected to be US$75 billion, out of which US$45 billion will ensure that the corridor becomes operational by 2020. The remaining investment will be spent on energy generation and infrastructure development. While the trade and energy corridor may be ‘monumental’ for Pakistan, for China it is part of more ambitious plans to beef up the country’s global economic muscle. Chinese officials describe the corridor as the “flagship project” of a broader policy — “One Belt, One Road” — which seeks to physically connect China to its markets in Asia, Europe and beyond. This initiative includes the New Silk Road which will link China with Europe through Central Asia and the Maritime Silk Road to ensure a safe passage of China’s shipping through the Indian Ocean and the South China Sea. “China is not building the corridor as an act of charity for Pakistan,” says Michael Kugelman, a senior associate at the Washington DC based Woodrow Wilson Center. Some experts argue this initiative can bring greater cohesion in South Asia, one of the world’s least economically integrated regions. Adil Najam, Dean of the Boston University Pardee School of Global Studies, believes anything that binds the region together is “a good idea” since countries tend to focus on “zero-sum geostrategic posturing” rather than recognising the benefits of integration. At the same time, the new silk roads are bound to intensify ongoing competition between India and China –and to a lesser extent between China and the US – to invest in and cultivate influence in the broader Central Asian region, says Kugelman. “India has long had its eyes on energy assets in Central Asia and Afghanistan, even as China has gobbled many of these up in recent years. The US has announced its own Silk Road initiative in the broader region,” he said. India is concerned about China’s growing investment in Pakistan, particularly its recent decision to fund a new batch of nuclear reactors. Pakistan plans to add four new nuclear plants by 2023, funded by China, with four more reactors in the pipeline (adding up to a total power capacity of 7,930 MW by 2030). Many argue that China is supplying nuclear technology to Pakistan in defiance of the Nuclear Suppliers Group (NSG) guidelines, which forbid nuclear transfer to Pakistan as it has not signed the Nuclear Nonproliferation Treaty. China argues that these projects were agreed with Pakistan before it became a member of NSG in 2004. However, the economic corridor is unlikely to be successful unless there is peace in Gwadar, a district embroiled in conflict. Militant groups opposed to foreign-funded investments are active in the region, with some of them also having attacked Chinese engineers working on the port. This is one reason given by experts for the change of route to pass mostly through Punjab, thereby avoiding some of the country’s most strife-torn areas in the provinces of Balochistan and Khyber-Pakhtunkhwa and much to the chagrin of local legislators. At the same time, China has concerns about the growing influence of radical religious groups in Pakistan in its own province of Xinjiang, which has a significant majority of Uighur Muslims. For now, the Pakistani military plans to train over 12,000 security personnel and form a “special division” to provide security to Chinese personnel working on the economic corridor. Some 8,000 security personnel have already been set out to protect over 8,100 Chinese personnel working on 210 projects across Pakistan. China has no plan yet to develop her south and western part , even though they have plan but it will take them 100 years , All the universities and industry exit in Eastern china with port cities,.. For China Eastern and western part has as contrast as Pak has Lahore and DI Khan . Even China are facing extremism and terrorism in south western cities .. Pak has to made on companies to build coal based power plant , Chines can not afford to work with exiting force in Pak. China is the most trusted friend since day one. Pakistan should always receiprocate their help. "India is concerned about China’s growing investment in Pakistan". Why? Prosperity and peace for any country in the region is good for others in the region and rubs along! China has always been good friend from the day one. Pakistan must receiprocate all their help. There is too much for both in maintaining their good friendship. Both countries have spent long time about this Gwadar project. They will fortified this area in suchna way that nothing will go wrong and not even bird will fly over these areas. It will be good for insurgents to keep themselves away from these areas. It is upto them. Pakistan India are natural partners but the their BIG mistake is their failure to resolve the Kashmir issue - this has, is and will cost much more in the future if this issue is not addressed!! No amount of additional energy is enough, if power theft cannot be controlled. We are our own worst enemies. @Harmony - We are not concerned. Just don't mess it up like everything else. Rest if fine. Its your sovereign matter. We are no one to have an opinion. Its between China and Pakistan. very informative article!!! whether one likes it or not credit for this investment goes to PMNS!! These projects put together are enormous by any standard...the government must announce very clearly how it will be done honestly and successfully on time.Only signing is not enough do the Pakistan side have the capability to fulfill. @ahmed - But he prefers building roads and metros more! Most of the money for the purchase (Gwadar) from Oman came from donations, with Prince Ali Salman Mohammad Shah Aga Khan, being the greatest contributor, while the remainder was raised by taxation. Its a win win for all, China is going to reap the benefits of friendship with Pakistan. India should also work along same lines, forgetting the past, for returning prosperity to the sub-continent. This will soon be turned as Kalabagh Dam due to route change. Such projects will definitely change people's mind and thinking. Route must not be changed if you want to see progressing Pakistan. ANP and other such parties are already declaring this to be another Kalabagh Dam. Please stick to the original route and make Pakistan Progress. Development leads you to Peace. @Jainy - First make sum thing happen and once single route is up, other (original route) will be peanuts. As fruit from the wave of progress from first route will be tremondous. Huge Chines investment to the tune of billions of dollars in the infrastructure and energy related projects will serve as a catalyst for the economic and social development of the country. The real benefits of this progress will go to common people is a question mark because for that we need a fair and equitable corruption free taxation system and honest implementation of projects for the welfare of the people. International energy war between US, Israel, India etc. against Arabs, Chinese etc. is slightly exposed in this article. such a good idea to have the good relation with your neighbor. Be friendly to the one who is friendly to you and then you can do much more with the friendship than just hello and goodbye. You can build many things and be the one who is going to supply the power to the places that need the supply for the long time and place. When you do this it will be a good idea to make the long investment in the good place that will give you the return for the good will of the other place that is the more money and more better life for the common people of the region which is helpful in making the place a better world for the fifty five cents that you will get for your opinion. India can not tap into Central Asia without Pakistan allowing it to. The same goes for land rutes to Afghanistan. For now India can only continue to fund and train terrorists from Afghanistan and send them into Pakistan - as long as it last - as Pakistan is winning this war under General Raheel. Indians should learn from Pakistan-China friendship and quit Kashmir occupation and return Kashmir to Pakistan, her mother country since partition of 1947, and establish friendship with us. After wll, we have more in common with each other then any other nation on this planet. @Gaurav Arya I hope others think the same way. 8000 security persons to protect 8100 workers!!!! Insane. China must be either trying to establish a military base or feeling insecure to core. China has been a great friend of Pakistan. These are Great projects which will benefit both countries. Some countries will definitely try to disrupt the arrangements. Indian involvement in the insurgency in Baluchistan will be a huge factor in the success of the Projects. Changing the Route will be another sore spot. Like it or not as long as the corrupt Pakistani government stays in power huge portion of this investment will go into their satanic deep pockets. In short, The new Silk Route must be built but it might not be “Silky” and smooth. No matter what, N.Shariff deserves all the praise for bringing China as a great power bearing gifts, help and sincere friendship is not an easy joke but a Herculean task. This might turn out to be a cornerstone in Pak history to emerge as an Asian tiger. For, Pakistan has the people power, nuke power etc along with growing infrastructure in everything. So the prime minister has turned to be a great statesman as long as his political opponents torpedo it. Game changer investment for Pakistan. @Gaurav Arya I wish all Indians (and Pakistanis) think like that. Thank you. Hope they have taken into consideration how many tankers will be torched on land route . @Jainy Origianl route(s) not going away, only in the interim utilize existing infrastructure and safer areas. So trade activity starts sooner. I am afraid of a serious reaction from UAE/GCC for 2 reasons; Pak didn't send troops to KSA & 2ndly this Chinese Corridor will hurt the ongoing trade through Dubai & Oman. Gawadar is in actual deep sea while Dubai has just a bay. "China’s new silk road: What’s in it for Pakistan?" Opportunity ... that is if the clueless leadership can see it. They ONLY like to remind people of the FOREX in Pakistan which is ballooned to $18 bn on the back of soft and hard loans. Hardly any achievement. If the leadership doesn't look at short term gains, there is plenty of opportunity in this deal. Chinese don't want to hand out freebies. They would like to make money and also help Pakistan to make money as well i.e. if Pakistanis are willing to. @Harmony That statement spices up the story; otherwise it reads very bland. Not a fan of NS or PML-N but JOB Well done! @SHAZIA China is investing in and/or extending loans to power projects in Pakistan. Importance of a power project is actually not with the project proper, but, with the potential it generates to set up downstream industries. So, one must accept that China is definitely helping you, and, it is up to you how your private & public sectors take advantage of the available power and invest further which in turn spurs job market. @Vicky "I am afraid of a serious reaction from UAE/GCC for 2 reasons; Pak didn't send troops to KSA & 2ndly this Chinese Corridor will hurt the ongoing trade through Dubai & Oman. Gawadar is in actual deep sea while Dubai has just a bay." Well they can hurt as much as they want. It's called competition and Pakistan has a bigger gun to defend it's side of the Persian gulf and they know it. They can't push Pakistan too hard or it's bye bye to GCC and hello to Iran. @Euro Heard of Chahbahar Port by India in Iran? Alternate route to Afghanistan and competitor to Gwadar coming up there. great initiative.credit goes to NS and Mr She.This project must rollout on war footing and should be completed within 3-4 years .It will be a game changer for both countries. Absolutely agree. Indians wish all the very best to Pakistan in building its economy. The strategic importance has mentioned by Zofeen T Ebrahim's brief analysis that "the port could turn into China’s naval base in the Indian Ocean, enabling Beijing to monitor Indian and American naval activities. "If US had any plan to encircle China with the various Asian powers through land or maritime borders that is not workable at least in Tibet-Kashmir sides due to port Gwadar- Kashgar economic corridor. It's interesting.So chances of any future war by Asian nations have further lessened.A symmetry is being established against India- US axis and more economic competition more non lethal competition among the great nations. Thanks Dawn for focusing such a positive news item. @SHAZIA do;nt live in fool,s paradise.even a blind can see the opportunities due to this land mark project. how come there will be no job opportunity even chines bring their own people.Still opportunities will be there.construction;Transport;shipping;and general industry will be a big business during and in post build scenario. long live Pakistan. Guide us through our troubled times, our trusted friend. Thank you. India understands the limitations imposed by Pakistan on its western borders. Indians in general understand that limitations are an opportunity for innovation. India is building up reliance on solar, wind, and nuclear. This will help create domestic manufacturing jobs, increase self-reliance. The best part is avoiding central Asia and Arab states all together. Keep in mind that India is looking east either ways. Fear of india makes these two closer. The question is what is in it for the regions except Upper Punjab? This investment will be a game changer for Pakistan growth. I can see why India and U.S are worried. This shows you who really is our friend and enemy. So,this is the startup of development from Urumqi to Gwadar .It will probably coverup the physical link of Allama Iqbal's Nile ke sahil se ta ba khak e Kashgar. @Tom - Thanks Tom. Likewise good wishes for India too and others in the region. Friends can do only so much....Pakistan needs to put its own house in order now. China is giving soft loan to Pakistan to fulfill its own purpose.. How ? 1.Pakistan will pay interest on debt to China . 2.Through Gwadar they could save more than $300 billion annually. 3.Will Expand the trade activities with Central Asia , Africa n Middle East. 4.Will use Gwadar as a military base against their rivals . 5.Through pakistan they could increase the flow of goods and capital . What will Pak get ?? Electricity - Which pak would have increase with its own resources ... 2.Employment !! - I don't think bcoz gwadar is now a part of china for at least 40 yrs. Yes Pakistani would work as a lobourer in their aka's region 3.Reduction in funds from West plus bitter relations with India .. When the Gwadar Port starts operating china will save billions by using this short route aka silk road. China is smart and it is also benefits Pakistan. India will jump in later on mark my words. Pakistan should ask China to stop persecuting Muslims in China! If you don't stand for something, you will fall for everything! Gwadar port to Islamabad. That's where the money is. So much is stolen from the docks in Karachi that Pakistan AND China needed a secure seaport. We could call it the Silk Road because silk dresses and dress creations will exported by China, and so much more. That may include military weapons and vehicles if they are in the budget. If honest work kicks off to materialize this imvestment, will the scope of Civil Engineers increase in Pakistan ? Tell me ..tell me !! @ahmed nawaz is clueless as to the severity of this project and has failed to reap benefits for Pakistan to the extent he should have! This is true as a nation we have no idea what in it for us! Big opportunity for China. That is why they are investing. It is also a big opportunity for big Pakistani retail chains and retail shops that have the money to invest in inventory. The construction and operation of this multi-billion dollar deep-sea port at Gwadar was contracted to a Chinese company in 2013 : Gwadar was Inaugurated by possibly President Musharraf in 207 or so and a Singapore Company was given the "Contract" to Operate it. The Singapore company failed to attract business so last year the Singapore Company's contract was cancelled and given to the Chinese. “One Belt, One Road” — which seeks to physically connect China to its markets in Asia, Europe and beyond. : In this case China will use its connection to the Trans Siberian Railway for a Land route to Central Asian Republics, Central Europe and Western Europe. It has already sent a Train from China to Spain. Peace. How could Pakistan help China? China does not need your help. When China had the great earthquake in Sichuan Province the Peoples Liberation Army rescued 45 million people and relocated half of them to Chong Ching (building a new city of 30 million in the process). China did not ask the UN or any other international agency for money, and they asked no other country for aid of any kind. China expects Pakistan to buy their wholesale goods and capital equipment and weapons. That is all the "help" they need and want. If there is a deal made for minerals the Chinese will participate. Food, cotton and minerals is what Pakistan needs to export, in order to maintain any near balance of trade. China has created a new Asian banking system to facilitate payment and insure fast delivery of goods. China is rich in coal and iron deposits. They want copper, silver, gold, platinum, chrome, lead, zinc and other ores. I don't understand as to why India is worried about this. Perhaps they are afraid of both development in Pakistan as well as increasing influence of China in the region as this is undermining their country power. @Euro Err, Kashmir's are not interested in going back to Pakistan or India, actually they are demanding the end of occupation from all three: Pakistan, India and China. No doubt about that. India has the same problem, and in Northwest India the problem is even worse than in Pakistan. If you can believe it. In India no electricity means no electricity, but it also means no fresh water. In city neighborhoods electric pumps are all that draw water. It is false to say that CPEC is "bound to intensify ongoing competition between India and China" or that India is "concerned" about it. On 17 April the Assistant FM of China Liu Jianchao said that the CPEC will benefit Pak's neighbours, in short, India. I explain why the Liu is right and the false propaganda should be resisted. Xi wants to bind India and China in the gold chains of trade. There are now 2 more New Silk Roads not mentioned in this report. One goes to India through Myanmar and the one through Nepal was announced recently by China. Parts of the CPEC will go through the Pak Kashmir and Punjab. Xi will want to use it for trade through J&K and through the Wagha border. He will encourage Pak leaders to patch up with India and to increase trade with her. This part of the CPEC will be built soon but the part nearer the Gwadar port will have to wait till Pakistan has full control over the insurgency areas in Baluchistan. Thus, India benefits from the CPEC. The PPP could not even get the deal signed. China does not like their money going into political pockets. The PPP and MQM wanted to maintain Karachi port's dominance, but could not stop the smuggling, the theft of goods and the pilferage of shipping containers. Or were afraid to. Without dams Pakistan will eventually be washed into the Arabian Sea. @AW - I agree religion should be no business of state and your advice for Pakistan but at the same time it would have been fair on you to point out India seems to be regressing by promoting Hindutava. You mean Pakistani paranoia has been only slightly exposed. You have enlightened us on the matter. The British lent Egypt the money to build the Suez canal, but the Kadive of Egypt spent all of the money on himself and Britain had to repossess the canal and run it at a profit. @Euro what war are you talking about. Who loses more by not allowing route to central asia? India or Pakistan? Who needs to raise the per capita income and energy supply urgently? And what has Kashmir got to do with it? In what world are you living in? looking at it from another angle: China is building a road across Pakistan and building a port mostly for it's own use without having to pay any access charge and with money lent to Pakistan by China which Pakistan will eventually have to pay back. The projects will provide jobs for thousands of Chinese workers in Pakistan who will be protected by a special division of Pakistani security force raised and maintained with Pakistani money. China will also be constructing coal burning power plants -- the age of which is now past -- most likely such power plants will have to buy carbon credits in future from the global exchanges making them uneconomical. I fervently hope that this deal is a game changer for Pakistan, will bring economic prosperity to Pakistan and will provide jobs to unemployed Pakistani youth who will then move away from extremist philosophies. But seriously, I see a lot of benefits to China -- looks like Pakistan has been badly conned. Thanks to Musharaf. He started Gawader port. How many Pakistanis are going to get jobs. The only country which benefits is China. China has gone and made friendships with the countries which are strategically beneficial for them. They are not doing a charity here. Its heartening to know that Pakistan is getting mobbed by the Chinese. should there be a CIP (China-Iran-Pakistan) gas pipeline? Pakistan is a market of 200 million, soon to be over 300 million. Lets not kid ourselves, China has a lot to gain from this, its not charity. And once Pakistan becomes an economic tiger as it was in the 1960's, it will provide allied support to China in the Muslim world, that's over 50 countries. Pakistan has value, so please don't get googly eyed and have some self-respect. It is good to have China on our side, your friendship is most welcome. @SHAZIA well said. ..no real details have been provided. We would be lucky if 5% of the 46billion is real investment. Beware of China, they are not supporting Pakistan and looking only for their strategic interest, remember what happened to Vietnam after US left . I have observed that the map above has Bay of Bengal where the Arabian sea should be. Its hard to understand the hyperbole and gushy language from commentators about Pak - China friendship. Everyone knows that it is only National interests that matter. Today Saudi Arabia is very much on the side of Israel over the Iran issue though it may not publicly say so. The picture of Gwadar Port in this article is courtesy of one Mr. Asad Ullah from a few years back, about 7 or 8 years back. India and U.S. are not AT ALL concerned about this. This is part of their designs on Pakistan. The main vectors in these "designs" are: Market Share + Market Distance + Market Position. A "roadway through Pakistan" will cover everything that India and U.S. have for concerns and WANT. China is just the one taking the "misdirection" about the War In Afghanistan to a "new plateau". Pakistan should waste less electricity and other existing infrastucture, and do more work with it. Because there is a Speeding Bus behind it. The "New Silk Road" IS the Speeding Bus chasing it. so sue me. @Jainy These routes should have been thought about and built solely under Pakistani comprehension and cognizance. Pakistan is about to miss that boat. @Oneeb U.S., Israel, India are NOT against China getting energy. China getting more energy IS in their favor. check your maths. @Rao China just came in to pluck the "ripe apple" at U.S. behest. That was the plan all along behind "War in Afghanistan". it is a case of Good Cop, Bad Cop, and certain Money Lenders. History would remember Zulfiqar Ali Bhutto as a great visionary who initiated the Pak China friendship the fruits of which are materialising now. Meta courtesy 25° 8'24.39"N, 62°19'45.22"E. Google Earth. The photo at that location. China is a strategic partner linked to Pakistan only in its rivalry with India. There is no cultural affinity or people-to-people links. Want to see real friends, check out U.S./Canada or U.S./U.K. The irony is that Chinese are investing to uplift their terrorist hit areas but don't care about Pakistan terror hit areas like Pashtoonkhwa & Baluchistan. They along with Government of Punjab are avoiding Pashtoonkhwa & Quetta by changing the route as these are troubled areas. And they can afford to hire 12000 plus 8000 security guards. Is it justice? 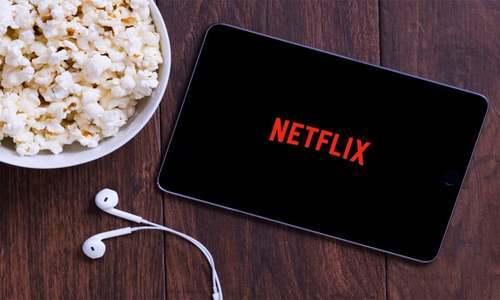 China usually hire its own manpower and material, what it needs is few corruppt politicians to award subcontracts to portray local content requirements. Those who want to know further must study Iraq model, what China is exactly doing there! An long live Pak-China friendship. @Harmony : Exactly, If Pakistan develops and it's people are benefited it's a good news for India. But need to wait and watch, once the project is fully operational China may not bother too much about Pakistan. It may think as another dumping ground for Chinese products. Chines oil companies would get better access and deal in petro products. Chinese Naval forces would also get a boost, by anchoring its vessels closer to India's western Naval command. Pakistan should make use of this economic corridor for products to export. And more importantly Iran would benefit by direct and direct means from this corridor. It would help help Iran economically and militarily from China. Unless Pakistan has any reservations. The success for Pakistan mainly depends on it's internal security and peaceful policies, otherwise, it would benefit only China. If executed with national interests in mind, this can be the foundation stone to Pakistan's prosperity but I doubt it. 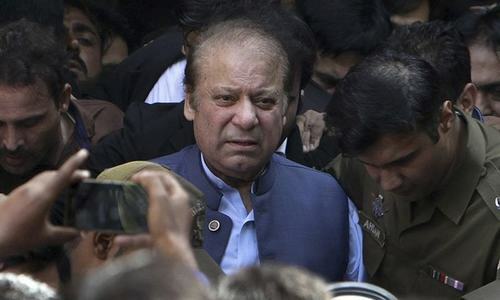 Pakistani leadership looted the country in the past and if they are lying again, it can be the biggest disaster in Pakistan's history. The benefits for the projects must translate into- 1. Local jobs 2. Impetus to local industry 3. Affordable energy 4. Healthy trade 5. Sustainibility Given the current scenerio the majority of the benefits will go to china and if this happens, Pakistani youths will take the call. Two interesting facts: 1. Bought Gwadar from Oman and sold it to China! 2. 8000 Pakistani security personnel for 8100 Chinese engineers! 12000 more security personnel to be recruited! Employment opportunities for the Pakistanis! Wallah! We are into real estate and security agency! The locations of the Bay of Bengal and the Indian ocean are wrong on the the first map above. I don't think China wants to have adversarial relations with the USA or India and in fact Indian prosperity is good for the whole region and so is China 's. No one would ever imagine a project if China had not progressed economically. It is important for India, Pakistan and other countries to work together do hundreds of these projects in the whole region so good and people can move freely as they do from Mexico to Canada. Mr. Modi should focus his energies on developing inter regional trade instead of going to far way lands...economic prosperity of the whole region can be multiplied if India and China help all the countries in th region. India should help Pakistan in any sector it can and Indian goods can travel from this route to China and afghanistan a lot faster as well. If this project gets completed it will be the best thing for Pakistan. People who are currently controlled by the military establishment. Common man will benefit and it would be difficult for its military to attack its neighbor because it would then be in its economic security to keep peace along its very active economic corridor. But then again who knows countries are known to self destroy! But I am hopeful! 1-Pakistan should have a team of auditors and cost analysts who will be watch dogs to get every part of the project completed in time or ahead of time.Delays in these projects can increase the cost.2-Pakistan universities should twin with Chinese universities to train their technicians in time.This will need planning by the highest level of experts.Pakistan should also train their technicians at Japan, kazkistan and Singapore.3-This will help to raise standard of technical education on a continuous basis.4-To exploit fully the money earning opportunities,Pakistan must upgrade the skills of Social Scientist.Turkey can help. @Muhammad Farooq . How the real benefit of this program go to common people of Pakistan? The reason for building the corridor (highway, rail line and a pipeline) from China to Gawadar port is to reduce the time/ transportation costs of Chinese products and imports from/ to Mid East and Europe. This will help the Chinese take the oil from the Mid Eastern countries and send it through the pipeline to China.Think of it as a Suez canal in Egypt. The highway/rail line/pipeline will be built by Chinese workers with Chinese material. It appears there will be no jobs for Pakistanis in this project unless the Pakistani government has a clause in the agreement to use Pakistani labor/engineers. The highway/rail line and the pipe line will have a negative effect on the environment in Pakistan especially locomotive engines/ big diesel trailers will emit lot of air/noise pollution in the surrounding areas. Air pollution has both acute and chronic effects on human health including cancer. poor gullible people will never know what hit them. Whats in it for Pakistan? The most advanced infrastructure in South Asia. 16,000 Megawatts of electricity. A pipeline to Iran for LNG worth 4500 megawatts of electricity. A metro rail line for Lahore. These are the conditions needed for an economic revival, and luckily we have a competent industrialist in charge, rather than an inept Zardari. Even if the chinese make a profit on this, we will be the ones who reap the most rewards. Urdu Chini bhai bhai?! Enjoy the ride! @Tariq, Lahore Well said, I wish more people had understanding of geo-political importance in economic advancement of both the countries. This is just a ploy to convert Pakistan into a totally pliant client state, to a slave state. Pakistan is falling for the trap. Chinese are the most pragmatic and shrewd races. Their sole purpose is to ensure that nobody rises in Asia to rival them. @n s parameswaran Even though China is very shrewd and will try to convert Pakistan into a vassal state ,understand that Pakistan is also very pragmatic and has dealt tactfully with US ,India and Saudi.It has not been trapped in any of the commitments or encounters.I think China will also join the list and find its investment difficult to sustain .It will also discover it has allowed the extremists to reach the interior regions of China.Trust your own blood ,it will not fail. @Thaqalain Where can we get the details on this model you mentioned? @Euro Ever heard of sea route buddy. @Euro Why don't Pak does the same. Give up Kashmir to India. Problem solved. @ashok kumar lal Your comment lacks facts and off ground realities so no further comments. Good news to hear this news, about our friends across the border. The hope of good future would definitely force some of the harakari mentality guys, to start think and act positively instead of living in the past. best wishes from india. a great game changer project. Now india needs to settled down all its disputes with pakistan before its too late for india. well, its a great game changer project, Now india needs to settle down all outstanding disputes with pakistan before its too late for india. long live Pakistan,long live china . The friendship of all weathers.